Absolutely amazing staff. Gave us a map and told us where to go what to do and marked it on the map which was awesome since we had never been before. Helped us whenever we needed it. Only problem I had was the keys were extremely hard to use! I stayed here one night as I needed a place to sleep in Toledo because I was running a race. The guy working there was lovely and informative. The location is ideal, and the place was clean and comfortable. Great value for the price. I would stay again! Very clean, very pleasant attentive staff, great location. Breakfast included- packaged muffin and instant coffee. 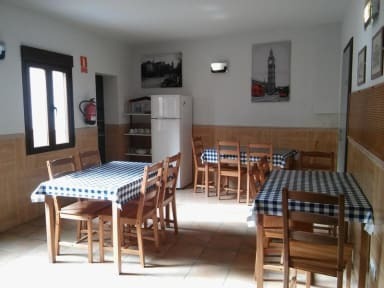 Very small dining room and no other common area, more of a small hotel than a hostel. Bathrooms are also very small and neat- no soap or towels for handwashing, there were empty dispensers. Very nice, would definitely recommend for a place to spend the night! Centrally located and clean. Hostel owner super friendly and welcoming! The lower rating on value, athmosphere and facilities is due to the place being freezing cold. No heating at all in the common areas although heaters are there, so obviously done to save a dime. Breakfast taken with jacket and scarf. Heating in room auto turns off early morning, and from then impossible to turn on again. Changed to another hostel for the cold. Staff very, very good and friendly. Hostel is on great location. I had double dorm. I was clean, but even hostel was not full it was prety noisy. you have feeling that bad from next room is squeezing in yours. Kitchen is just microwave, fridge and kettle for hot water. But reasonable for the money. I unfortunately did not really care for this hostel. It felt like saving money was more important to them than the comfort of their guests. For example the lights in the hostel were always off, even at reception at night, so it was very dark. Also, there were no paper towels in the bathroom even though there was a paper towel dispenser. Also the "free breakfast" was instant coffee and three muffins wrapped in plastic. 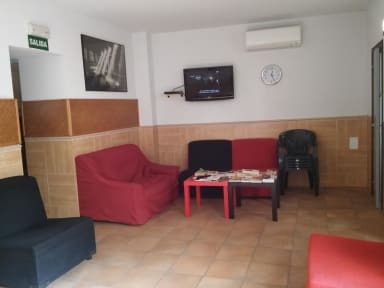 I understand that this is a cheap hostel, but it could have been better. The Hostel Manager barged into my room and told me I must turn the volume down on my laptop at 8:30 pm. On one occasion I came back to the Hostel and buzzed the Bell at 1pm in the afternoon, the Manager said in a patronising manner, ‘I’ve given you the key, you have to remember these things and then said he was sleeping.’ Later in the evening the Manager crashes into my room to say, ‘ It is stupid to have the air conditioning on and the window open.’ The Staff should not just walk into my room.